In The Team That Changed Baseball: Roberto Clemente and the 1971 Pittsburgh Pirates, veteran baseball writer Bruce Markusen tells the story of one of the most likable and significant teams in the history of professional sports. In addition to the fact that they fielded the first all-minority lineup in major league history, the 1971 Pirates are noteworthy for the team's inspiring individual performances. The first All Black and Brown Baseball Line-up. In the 34 years since his retirement, Henry Aaron's reputation has only grown in magnitude: he broke existing records (rbis, total bases, extra-base hits) and set new ones (hitting at least 30 home runs per season 15 times, becoming the first player in history to hammer 500 home runs and 3,000 hits). 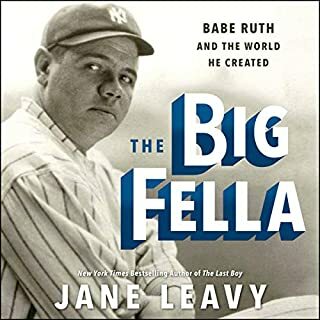 But his influence extends beyond statistics, and at long last here is the first definitive biography of one of baseball's immortal figures. Good, but should have been better. 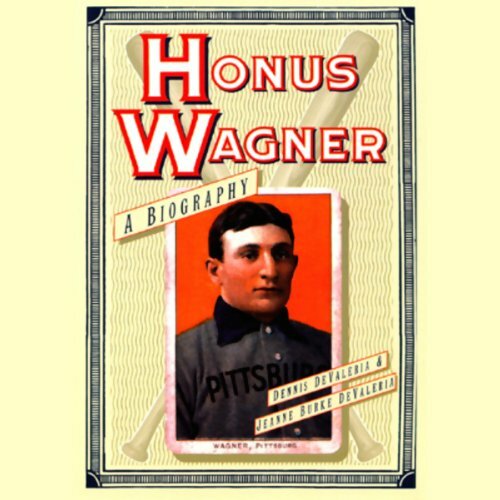 Honus Wagner, whose career in baseball (most of it with the Pittsburgh Pirates) stretched from 1895 to 1917, was the first American sports superstar of the twentieth century. One of the first five players to be inducted into the Baseball Hall of Fame in its first year (1939), he was probably the best shortstop in baseball's history. 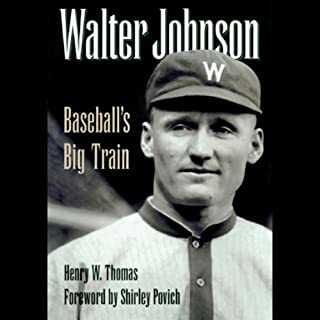 His great career and the dawn of baseball as popular entertainment occurred simultaneously, and he has become an icon of the early game; his 1909 baseball card, one of which sold four years ago for $451,000, is a holy grail of American memorabilia. This first major biography shows why Wagner was America's favorite image of sport during baseball's transition to the modern era. The first review I ever did here was for "Clemente" ~ which I loved. However, after listening to "Honus Wagner" I can say that I'm even more impressed! Wagner's career coincided w/ the growth of baseball from a "game" to a "sport" and he was truly its' best ambassador. 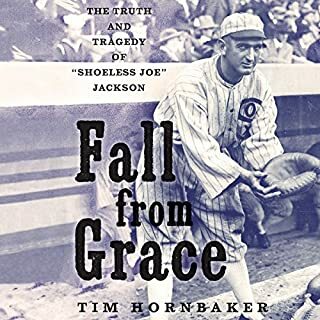 Besides the expected details of The Flying Dutchman's career w/ the Pittsburgh Pirates, we are also introduced to the dramatic changes that were happening in America at the turn of the 20th Century. Automobiles replacing carriages; athletes & actors replacing statesmen & scholars as the public's sweethearts; Coporate mergers & takeovers affecting everday life; etc. 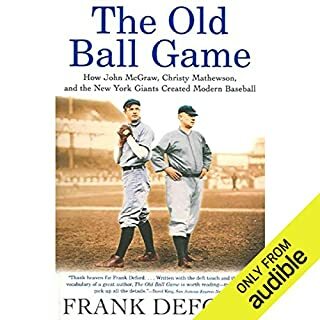 Plus there is SOOO MUCH I learned about old time baseball that I never knew before: The DH rule nearly introduced in the 1890's; Rabid fans who roadtripped across the circuit to cheer their teams; players suspected of using "performance enhancements" and the public's outcry. An INCREDIBLE read that literally brought a tear to my eye when completed. BRAVO HONUS!! When the events an author is writing about happened 100 years ago, the best compliments a reader can pay the writer is to say the material is well-researched and entertaining. That is undoubtedly the case here. While by no means is this an elite biography, Wagner himself was an elite player, truly one of the all-time greats. I wanted to learn a lot more about him and about how the game was played at the turn of the last century, and this book accomplished both. in particular, the narration was very enjoyable. 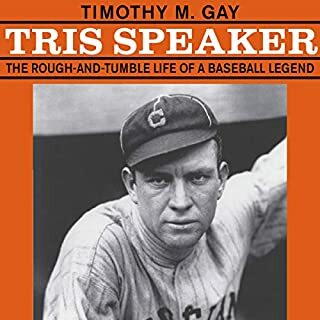 Not only does it give an excellent biography of one of baseballs all time greatest players, it also gives an excellent history of the start up of the National and American leagues. 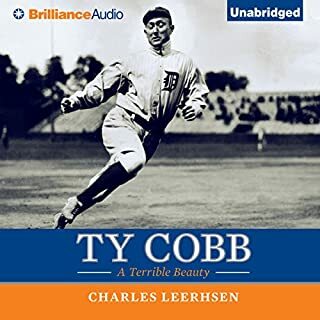 A must listen for all baseball fans. This book is like someone going through the newspaper archives of each game and reading the recaps. Filled with uninteresting items like pitcher x had a sore arm, player y had two hits. The authors did not distill the information and present a compelling storyline. I wanted to be interested, to learn about Wagner and baseball at the turn of the century, but it was boring. Sure, there's some good nuggets, but you have to dig. For example, Wagner getting hit by a pitch, charging the mound, but regained his composure and told the picture to rub his back. Or the description of industrial Pittsburgh at the time, being so filled with air pollution that they couldn't see 50 feet, so they had to end the game. One of the Greatest players of all time! 8 Time National League Batting Champion! Baseball Legend!